Focal Press' Simple Scene, Sensational Shot: Artistic Photography from Any Environment is a simple, easy-to-follow guide designed to help you gain a new perspective on your everyday surroundings. 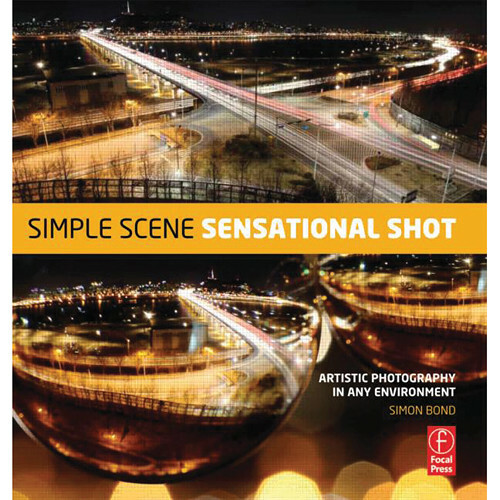 Written by Simon Bond, this 160-page book blends technical tips with inspirational and creative approaches to shooting in order to help develop a system for creating dynamic photographs and recognizing the intrinsic beauty of your local environment. Including a variety of ways to approach creating imagery as well as some unique settings and controls you can use to make reinvigorated work, this publication serves to bring out more excitement and consciousness to elevate the quality of your photography, regardless of your shooting location. Basics: Equipment; Making the Ordinary Extraordinary; Techniques that Transform; Exploring with Your Camera; Post-Processing; Organization and Display.